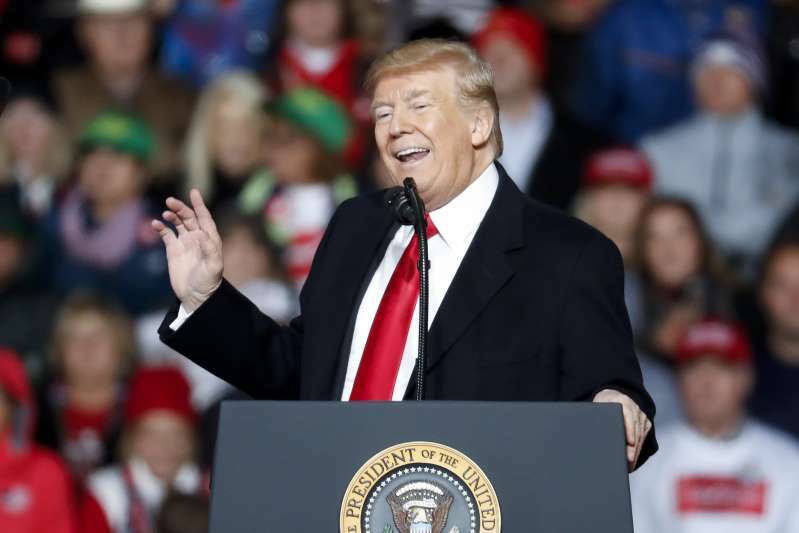 President Donald Trump praised Confederate General Robert E. Lee at a rally in Ohio Friday night during a soliloquy in which he also praised a number of Ohioans, including Union General Ulysses S. Grant. "So Robert E. Lee was a great general and Abraham Lincoln developed a phobia, he couldn't beat Robert E. Lee," Trump told supporters at a rally in Lebanon, Ohio, the latest place he's visited to boost GOP candidates before the midterm elections. "He was going crazy ... but Robert E. Lee was winning battle after battle after battle and Abraham Lincoln came home and he said 'I can't beat Robert E. Lee." Trump added that the frustrated Lincoln was forced to turn to Grant to finally deliver a victory for the Union and to end the Civil War. While his praise of Lee, who was not from Ohio, came in his build-up of Grant, who was, Civil War history has been fraught territory for Trump and key members of his administration, particularly in a time when many of the monuments of Lee and other Southern generals are being targeted for removal. White House chief of staff John Kelly called Lee an "honorable man" in October 2017 and added that the war was caused by a "lack of compromise." Trump has previously defended the existence of statues for figures like Lee, saying that imposing modern morals on historical figures is a slippery slope that will devour many esteemed leaders in the process. "Sad to see the history and culture of our great country being ripped apart with the removal of our beautiful statues and monuments," he wrote in a series of tweets in August 2017, just days after violent protests in Charlottesville erupted following a rally that was organized in part to protest the removal of a statue of Lee. "[C]an't change history, but you can learn from it. Robert E Lee, Stonewall Jackson - who's next, Washington, Jefferson? So foolish! Also... the beauty that is being taken out of our cities, towns and parks will be greatly missed and never able to be comparably replaced! Addressing another of Ohio's native sons, Trump said President William McKinley "has not been properly recognized." He also praised Astronaut Neil Armstrong and the Wright Brothers, and while not mentioning him by name, called Ohio State Football coach Urban Meyer a "great" man.